When you think of an Eastern Europe vacation, what comes to mind? Perhaps it’s visiting old churches and seeing historical sites that have been standing for many centuries. Perhaps you think of visiting cities bombed in World War II and restored to their former splendor. Or maybe you think of learning about the counties’ rich histories. If so, this Best of Eastern Europe tour includes all of that and more with overnights in Berlin, Warsaw, Krakow, Budapest, Vienna, and Prague. 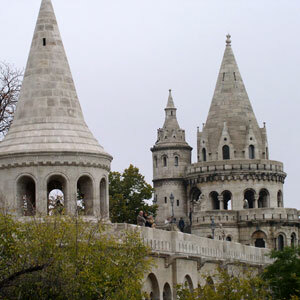 Your guided sightseeing in the capitals includes the must-see attractions. Visit Berlin’s Kaiser Wilhelm Memorial Church, today a symbol of reconciliation; the medieval Old Quarter and the 14th-century Cathedral of St. John in Warsaw; St. Stephen’s Cathedral in Vienna; Prague’s Hradcany Castle grounds and Astronomical Clock, built in 1410; the Kazimierz Quarter and St Mary’s Church in Krakow; and Budapest’s 13th-century Matthias Coronation Church, the coronation spot of several Hungarian monarchs. You’ll also visit Jasna Góra, the monastery near Czestochowa, an important pilgrimage site. Its Black Madonna, a painting of the Virgin Mary, is a symbol of the country and venerated as the “Queen of Poland.” You’ll stop in Auschwitz to visit what is left of the concentration camp. Plus, Globus has arranged some special experiences in some of the smaller towns. You’ll enjoy a special lunch in Telc, one of the most beautiful towns in the Czech Republic, and taste a Trdelnik rolled pastry in Prague. All of this and more-including a private Chopin concert in his hometown of Warsaw-are included on this fabulous Eastern Europe tour. Known as “Florence on the Elbe”, this is a cultural and industrial center for eastern Germany. Krakow is a diverse and culturaly rich city. Once thought of as cold and desolate, today’s visiters know an entirely different place. Warsaw is Poland’s capital, as well as its largest city, with a population of over 1 1/2 million. It’s main industries are machine building, iron and steel; with tourism slowly on the rise. It’s a wonderful destination for those of Polish decent who would like to know more about their ancestry.